When a pattern’s pretty near perfect, why stop at making it twice? 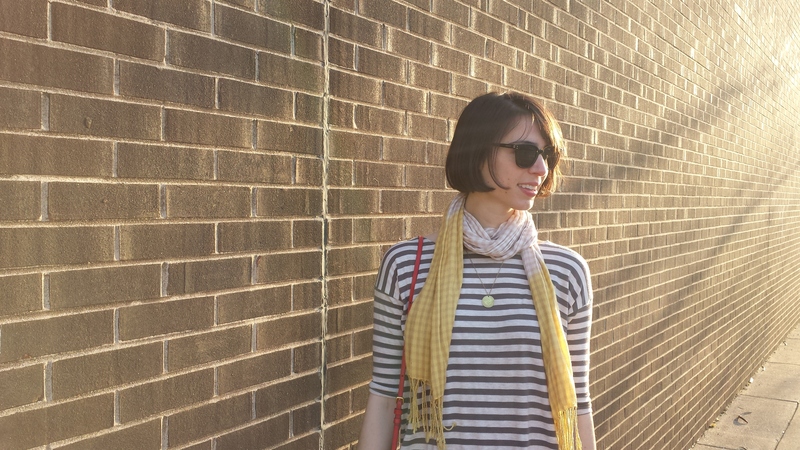 This striped number is my third Tessuti Mandy Boat Tee (with a color-blocked fourth one in the works). I went the same route with this one as I did with my cream-colored french terry version, keeping 1/2″ sliced off the pattern’s side seams. I forgot to shorten the sleeves, which I might go back and do since these are just a tiny bit tight below the elbows. The fabric is a buttery soft bamboo-lycra blend from Girl Charlee. I’m going to go ahead and say that this is the softest goddamn fabric I have ever worn. 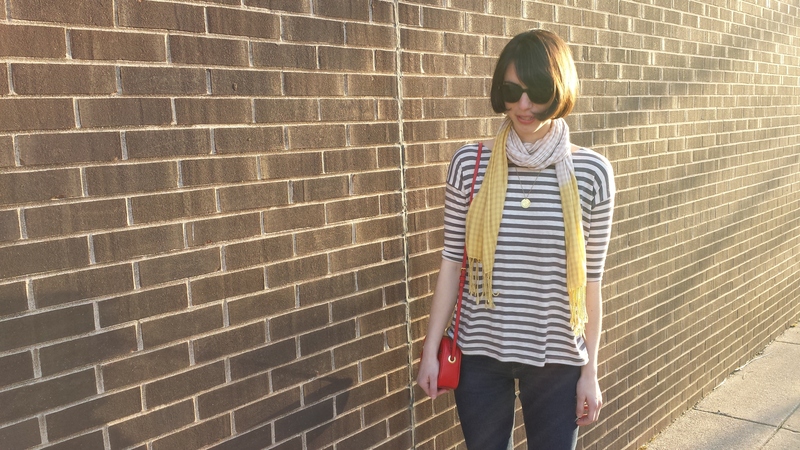 I highly recommend it if you’re looking for a striped knit with plenty of stretch. The Morris Blazer! This pattern is fresh off the presses from Grainline Studio. 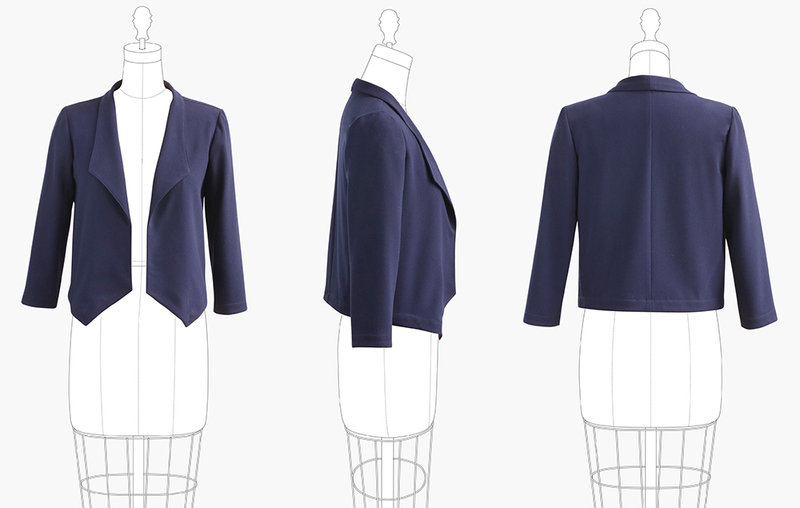 It’s an unlined blazer designed for stretch wovens and stable knits, and I am SO EXCITED to sew this up for my spring and summer wardrobe. My mom commented that Hong Kong seams would be perfect for finishing the center back seam allowances, and I totally agree. I’m excited to test that technique on some scraps and then eventually try it with Morris. I have a jacket that I did Hong Kong seams on and it’s one of my favorite things about it. It gives it such a nice look and it makes me feel fancy. I am going to have to check out that goddamned comfortable bamboo fabric! sounds like just the thing to make shirts with for my anniversary trip to Australia. If only it had giant Australian spider repellent embedded in it. You should definitely order some! And Australia sounds exciting, minus the giant, prehistoric spiders. Have fun! Thank you for the kind words and the link back 🙂 This tee looks so well made!